Rian Johnson’s upcoming brief break from getting yelled at for making Star Wars movies, Knives Out, is putting together a real rogue’s gallery of serious-faced men. 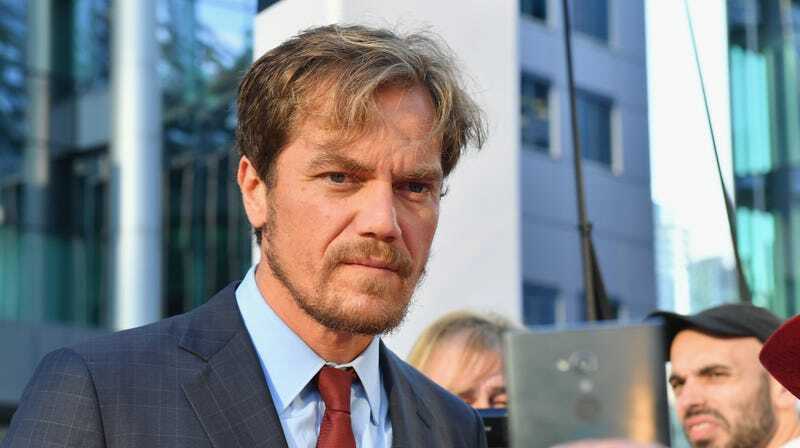 Variety reports that Michael Shannon is in talks to join the movie’s cast, where he’d glower alongside already-cast noted stoics Daniel Craig and Lakeith Stanfield, as well as Chris Evans, who will just have to try to tone down his big ol’ puppy dog nature for a couple of minutes while the cameras are on. Johnson’s next film has been described as a sort of Agatha Christie-ish modern murder mystery, which is both a) hypothetically a throwback to his first film, the high school noir opus Brick, and b), again, a real chance to not get yelled at by Russian robots for making a Star Wars movie with women in it for a minute. But no break from the realities of space-based fantasy can last forever; Johnson is already on the hook for at least one, and possibly three, new Star Wars movies from Lucasfilm; once Knives Out is done, he’ll have to descend back into the online fandom trenches, beginning production on his planned “trilogy” of Star Wars movies.